Apple’s design team always strives for svelte minimalism, and the iPad Mini 4 is the slimmest and lightest in the series so far. The company shaved a healthy 1.4 millimeters and 32 grams off the latest iteration of the device, allowing it to quickly outshine the now-discontinued iPad Mini 3 in terms of both size and weight. It’s also slightly taller, which means your old cases and covers probably won’t fit properly. Time to shop for a new one. Whether you want to add a physical keyboard to your current configuration or simply add a splash of style, there’s a case for you. Below are our favorite iPad Mini 4 cases and covers, so far. Just don’t forget the cleaning cloth. 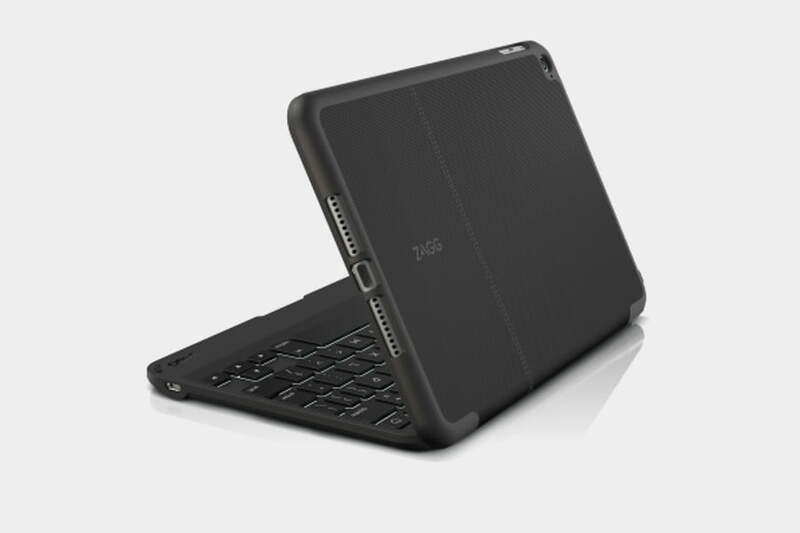 If you’re looking for an iPad Mini 4 keyboard case, then Zagg should be your first port of call. The slim, Folio-style case features a flexible hard shell cover that your iPad Mini 4 snaps into, and given its slender frame, it doesn’t add much bulk. It also features generous openings for the camera and ports, while providing an attached QWERTY keyboard that connects via Bluetooth. The backlit keys are well-spaced, provide good travel, and showcase a soft, rubbery feel. Considering the size, this is a comfortable keyboard to type on. There’s a Micro USB port, but the keyboard’s battery is big enough to last for several months between charges. It automatically sleeps and wakes along with the iPad Mini when you open and close it, and the hinge is strong, enabling you to pick the perfect angle within a 135-degree range. The outside of the folio even provides a textured finish that adds some additional grip. You may have to stretch your budget a little for this case, but if you want some luxurious style, it’s going to tempt you. 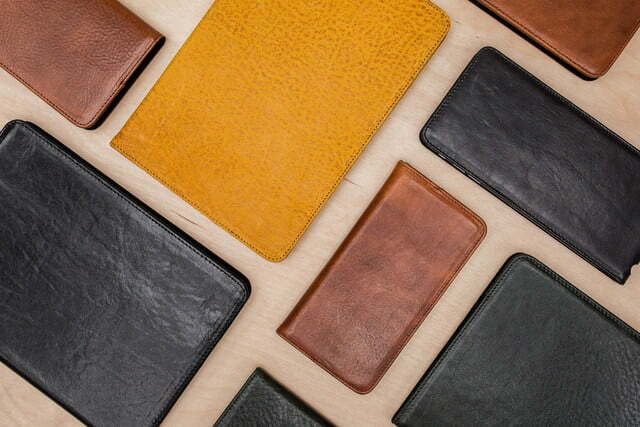 This is handcrafted quality made of gorgeous Italian leather available in either brown, black, or yellow. Free of garish branding, the exterior is unblemished aside for a camera cut-out on the back. Open it up and you’ll find a plush, microfiber lining. There’s a handy pocket on the left, too, with a subtle indented Nodus logo at the bottom. 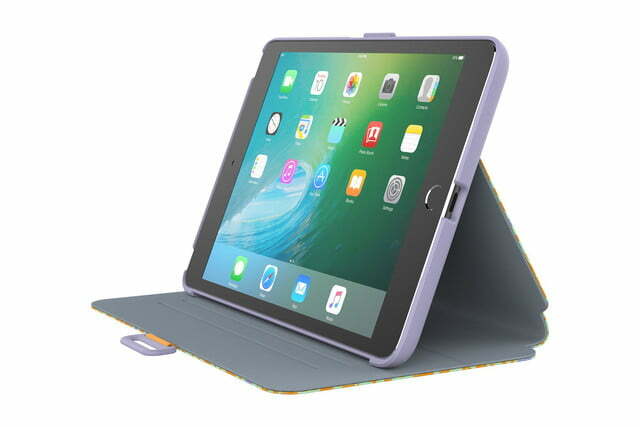 On the right you’ll find the adhesive pad that securely holds your iPad Mini 4 in place, and there’s another adhesive pad on the left that keeps the folio securely closed. 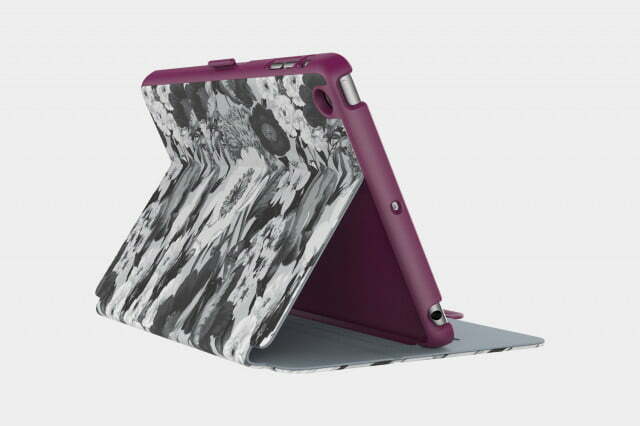 Fold the case open and the pocket acts as a ridge to prop up your iPad in landscape view. We wouldn’t rely on this for drop protection given it lacks a cradle, but that lets it to retain its slim and elegant design. 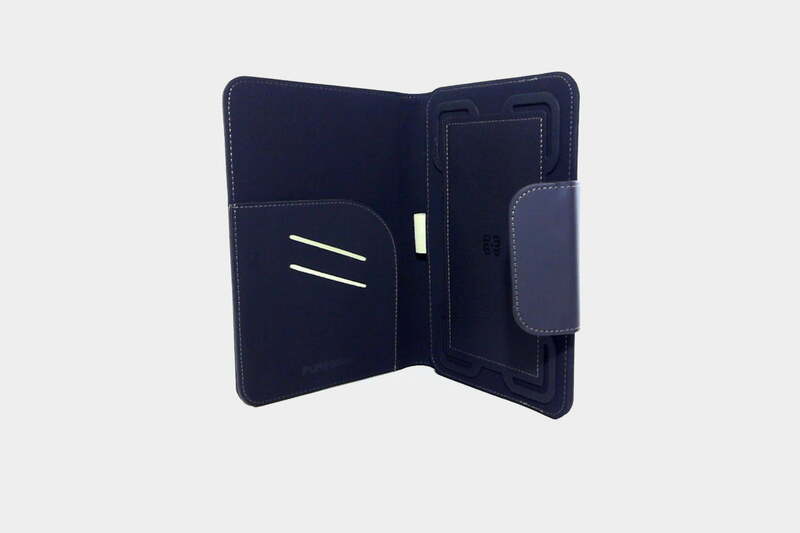 Here’s a case that delivers all-round protection for your iPad Mini 4. 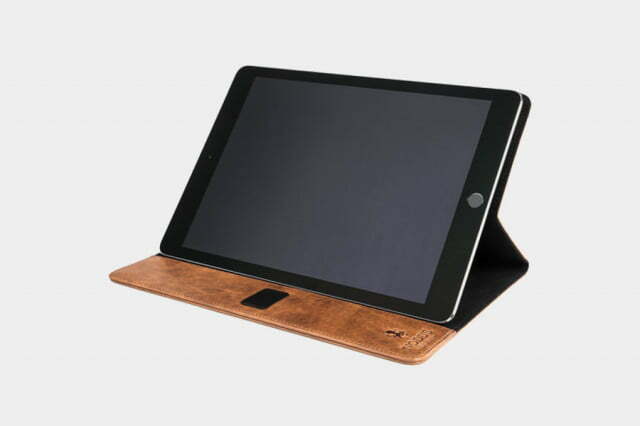 It features a protective hard shell with a soft inner lining, along with a a vegan leather cover with notches that enable you to prop up your iPad at various angles. The hard shell is thick, but it does promise drop protection, and the cover is easy to clean in the event of a spillage. There’s also a secure plastic clasp to lock the cover when closed, but no support for the automatic sleep-wake function. There are vents to redirect the speaker to the front and accurate openings for the camera, buttons, and ports. The other attraction is the wide range of available colors and patterned finishes. This is a bargain at $12, and frankly, it will suit anyone carrying their iPad Mini 4 around for business or school. 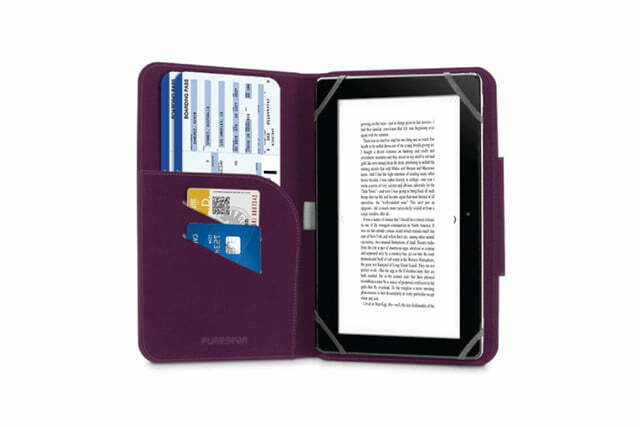 It’s a folio cover that’s actually designed to accommodate any 7-to-8-inch tablet, with flexible bands designed to stretch over the corners and securely hold your iPad Mini 4 in place. You’ve got access to everything — except the camera, which isn’t usable with this case on — but it’s very easy to remove in a hurry should you need to. The cover also provides a couple of credit card or ID pockets, as well as a larger pocket inside. 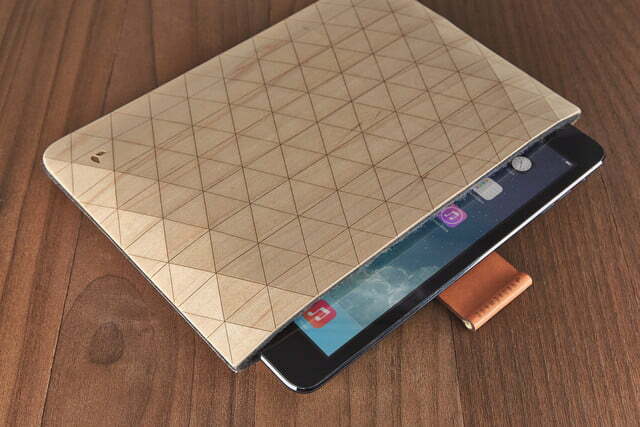 Fold it open and you can prop the tablet at different angles. The whole thing has a soft-touch finish that makes it comfortable to hold, and there’s a magnetic closure to keep it shut when you put it in your bag. 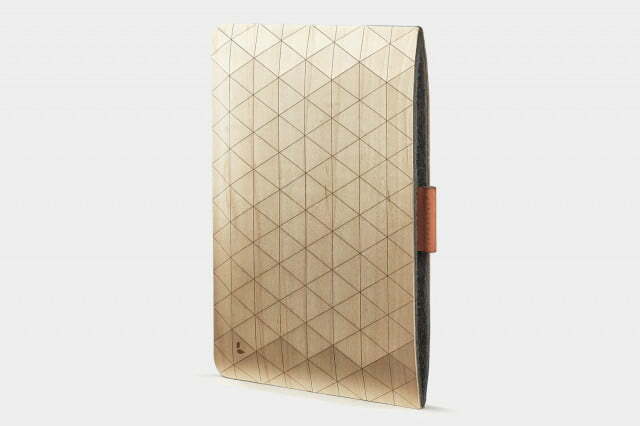 Anyone who prefers a sleeve to a case owes it to themselves to check out Grovemade’s beautiful, wooden sleeve. These are handmade in a workshop in Portland, Oregon, using domestically-sourced hardwood. There’s a distinctive geometric design laser cut into the exterior, and inside you’ll find a snug interior of wool felt. There’s also a handy leather and brass pull that enables you pull your iPad Mini 4 out in a hurry. It’s a striking look, but it also could provide ideal protection if you tend to carry your iPad in a bag and don’t mind opting for a more expensive offering.